AUTHOR’S NOTE: THIS ARTICLE WAS WRITTEN AND PUBLISHED BEFORE GADDAFI AND HIS SON SAIF WERE ARRESTED. AT THE TIME, NO ONE KNEW WHERE THEIR MONEY WAS. 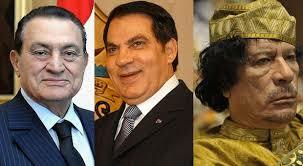 TO DATE, NONE GADDAFI’S CACHE OF GOLD AND GET-AWAY CASH HAS BEEN FOUND. THE BULK OF HIS FORTUNE, STOLEN FROM THE PEOPLE OF LIBYA AND HIDDEN OUTSIDE LIBYA, IS BEING TRACKED. SAIF’S PRESENCE IN THE CITY OF LONDON IS A CLEAR SIGN THAT SOME OF IT — OR MUCH OF IT, OR EVEN ALL OF IT — WENT THROUGH THERE. YET, TO DATE, NO ONE IN LONDON HAS BEEN CHARGED — OR EVEN ACCUSED — OF AIDING AND ABETTING MONEY LAUNDERING OR VIOLATIONS UNDER THE RULES GOVERNING POLITICALLY EXPOSED PERSONS (PEPs). Being a despot under pressure is an expensive business. And therein lies one of the clues to where Gaddafi might be headed. Some of those mercenaries are from Zimbabwe, members of Robert Mugabe’s presidential guard regiment. As Mugabe has been reported to have offered Gaddafi safe passage, it’s a good bet that gold has been shipped to Zimbabwe to sweeten the welcome. Enter here a new player. Especially for the Arab world… Dubai. Today, Dubai is the money-laundering heart of the Muslim world. That city-state rocked in the ’90s, and banks sprung up like palm trees. At least one planeload of Russians bearing wads of fresh U.S. $100 bills landed in nearby Sharjah every day so they could launder drug money through Dubai’s huge gold souk.